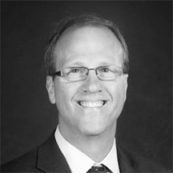 Rob Vallentine is the president of The Dow Chemical Company Foundation and works closely with Dow’s Foundation Board of Directors to provide strategic direction on the Company’s philanthropic priorities around the world. He also manages operations and implementation of the Foundation’s yearly charitable contributions. Vallentine also serves as the director of Global Citizenship for The Dow Chemical Company. In this role, he is responsible for corporate engagement with stakeholders at the global, regional and local levels – utilizing Dow’s capabilities and resources to generate social and business impact at the intersection of innovation, sustainability and citizenship. In addition, Vallentine serves as North America Site Corporate Affairs director for Dow and manages a team responsible for corporate affairs strategies and programs at Dow sites across North America. During his 30 years at Dow, Vallentine has held several leadership positions including director of Corporate Communications and Global Communications leader for Dow’s Building & Construction business. Prior to joining Global Corporate Affairs, he held a variety of positions in Sales, Marketing Research and Marketing. Vallentine earned a bachelor’s degree in marketing from Southeast Missouri State University in Cape Girardeau, Missouri and a master’s degree in business administration from Drake University in Des Moines, Iowa. Vallentine currently serves on the board of directors for the Chemical Educational Foundation, Council of Michigan Foundations and the Great Lakes Bay Regional Alliance. He also serves as Community Director at Chemical Bank.